With September comes the rush of conventions, with Dragondaze this month, Furnace in October, Indiecon in November, Dragonmeet in December and Conception in January. One month apart might seem to offer adequate time to recover, but you can never quite predict the focus and interest of the customers we encounter at each event. 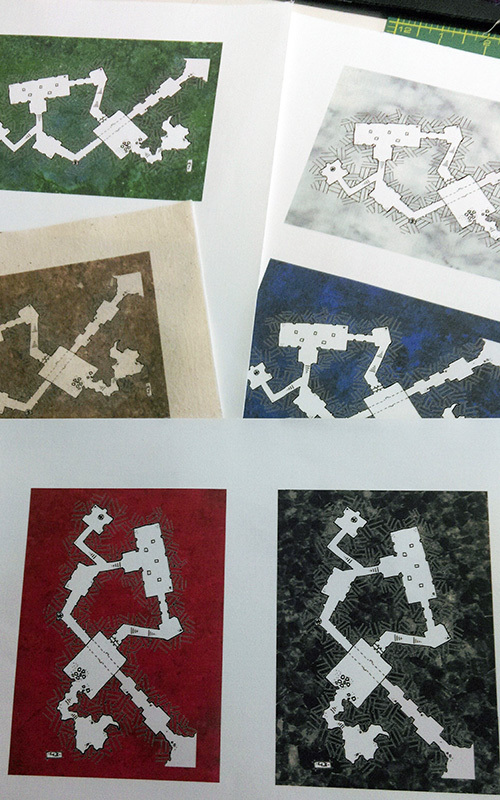 Today we have been working on the images for a new Tiny All Rolled Up range in six different colours, each featuring a dungeon mini-map by the talented +matt jackson. Matt provided the raw map work and I handled the Photoshop duties, scanning in fabric, lifting the outline and preparing the final print to fabric-paper. We should have these in the store relatively soon. While sewing Oilskins the other week, we found a partially assembled Van Helsing. We have added a bronze buckle to it rather than the original gun metal, a we think it looks rather good. We’ve only the one at the moment, so rather than change the picture in the shop we’ll show it here if anyone is interested. Genuinely, it’s the same as in the one in shop, except the buckle is bronze. Finally, we have been getting back up to speed post-Dracula Dossier. 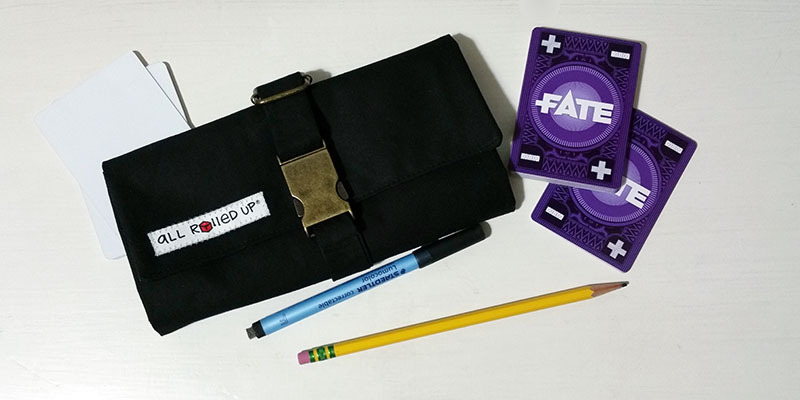 One thing we’ve had demand for are our Dice Trays – and we’re looking to expand the range. We’ll be adding 10 more colors to our options in the range and will be changing our snaps to matte black rather than shiny. Stay tuned for updates. 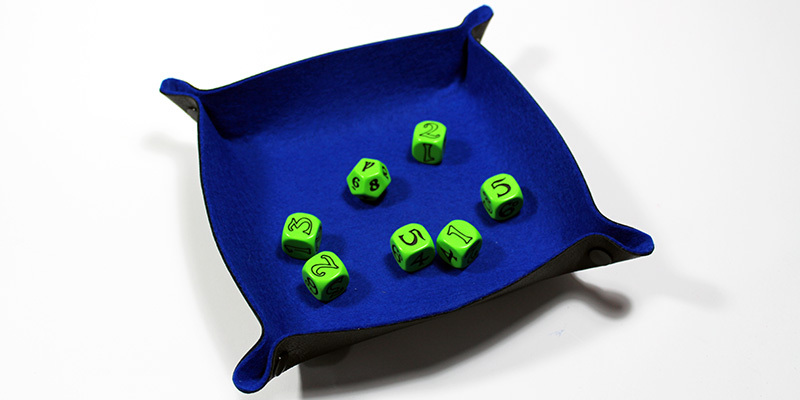 In the meantime, red and blue dice trays are now back in stock.